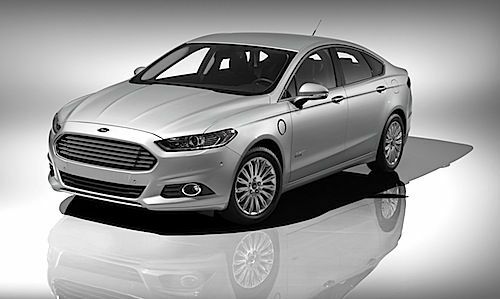 Ford has had a frank success with the launch of its new Fusion version, the plug-in hybrid (PHEV), Energi. The Fusion Energi has also won the right to drive on California’s carpool lanes, high occupancy vehicle (HOV) lanes from the California Air Resources Board (CARB). CARB approved the all-new Ford Fusion Energi plug-in hybrid for its carpool lane access program. The carmaker now boosts more 2013 vehicles that qualify for the state’s HOV lanes than any other automaker. Fusion Energi, a Step In Between. Neither internal combustion engine (ICE) car, nor pure electric, the Ford Fusion Energi is the next best thing. Driven nearby, its 21miles of electric range is enough for your daily commute, or pick up groceries, or kids from school. Although the Ford Fusion Energi hit showrooms last winter, it became Ford’s fifth new electrified vehicle to launch in the last 12 months. Ford now offers the Fusion Hybrid, Ford C-MAX Hybrid, Ford C-MAX Energi plug-in hybrid and Ford Focus Electric. This is good news for Californians who now have another vehicle option to get through traffic with the all-new Ford Fusion Energi plug-in hybrid. Since the vehicle has been approved for use in the state’s high-occupancy vehicle (HOV) lanes or as we call them, car pool lanes Ford qualified for tax rebates through California’s Clean Vehicle Rebate Project, which is overseen by the California Air Resources Board (CARB). A vehicle that qualifies earns a special sticker that identifies it as having HOV privileges, in this case a dark green sticker. CARB mandates a car’s fuel economy is at least 45 mpg on the highway. Congratulations Ford for yet another choice of easy on the gas car with your Fusion Energi plug-in hybrid that meets Californian carpool lane criteria.